Dental hygiene is extremely important for our overall health, as a healthy mouth won’t allow the entrance of infections in the body, and plaque buildup has been linked to an increased risk of cardiovascular disease and poorly managed diabetes. Yet, commercial toothpastes are not the best alternatives to maintain oral health, as they are rich in dangerous chemicals such as triclosan, sodium lauryl sulfate, fluoride, propylene glycol, diethanolamine, and artificial sweeteners. What we actually need is not a product that acts like soap for our teeth, but one that destroys bacteria in a completely natural way. Natural toothpastes contain ingredients like mint and other herbs, which are potent natural breath fresheners, germ fighters, and bacteria kickers. 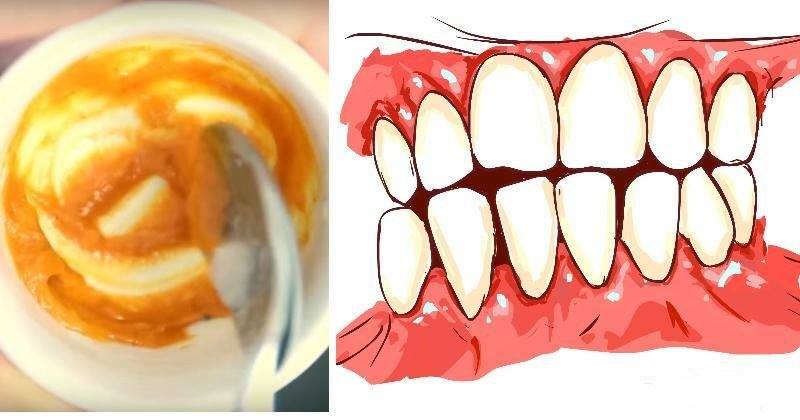 Therefore, the following turmeric, peppermint, and coconut oil toothpaste is a great way to whiten teeth, prevent tooth decay, and reverse gum diseases. Turmeric has powerful anti-inflammatory and antimicrobial properties and is rich in antioxidants, so it effectively treats common dental problems. The peppermint essential oil is extremely effective at destroying anaerobic bacteria, that thrive in a low oxygen environment such as the mouth, and can lead to gum disease. Also, it will get rid of bad breath and leave a fresh scent in the oral cavity. Moreover, coconut oil has a strong antibacterial activity that destroys bacteria in the mouth and reduces inflammation. All you need to do is to mix the ingredients above and use the paste to brush the teeth instead of the store-bought toothpaste. You might find it strange at first, as it will not foam like the toothpastes you are used to, but after a while, you will be impressed by its effects!